As the year draws to an end, apart from indulging in a bit of extra food and drink (! ), it is also time to reflect on the year just gone whether it be our work or personal life; good, bad or indifferent. From a Poppies perspective the year has had mostly ups – our loss in the semi-final of last year’s play- offs being the obvious down. We finish the year, at the time of writing, having only lost 2 league games all season – we would have taken that at the beginning of the season. The most talked about possible improvement to the ground amongst fans has been the idea of a “Tin Hat” at the Morrisons end of the ground. It is a widely held view that it would greatly improve the atmosphere - particularly when it comes to games requiring segregation. There will also be collection buckets at the ground on match days - which can be found at Martin Bellamy’s table in the clubhouse, and at the programme table inside the turnstiles. Still got some last minute Christmas shopping to do? Then just a reminder that the Trust is raising funds using easy fundraising.org.uk. If you sign up, and go through their app or website when you shop online, they will make a donation to the Trust, at no extra cost to you. Basically raising free donations for the Trust - and there really is no catch. 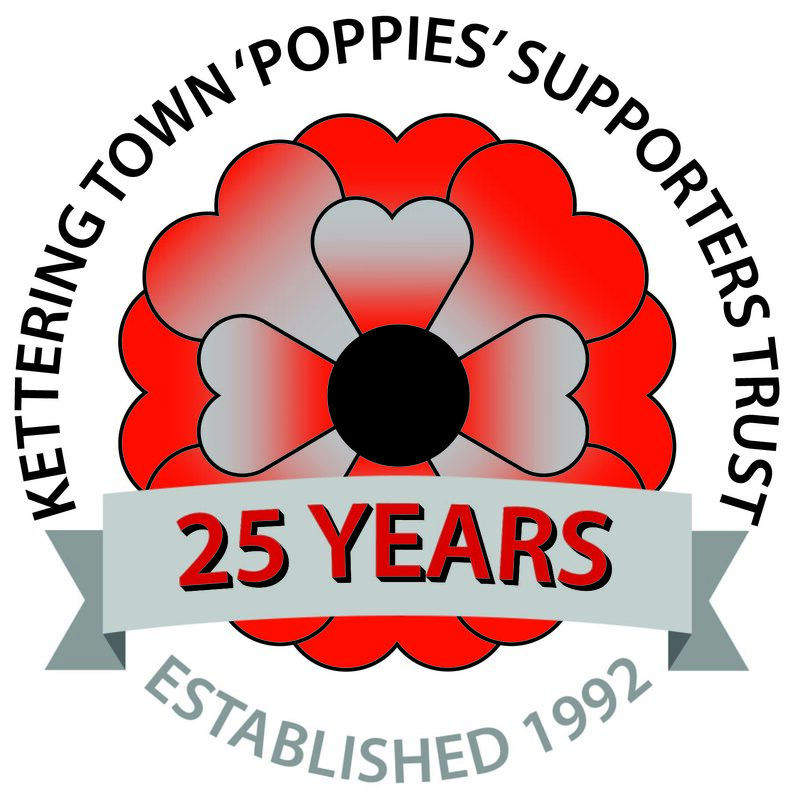 It's very simple to do - all you need to do is register with easy fundraising.com; choose "Kettering Town Poppies Supporters Trust" as your chosen cause and then every time you want to buy something online go to the easy fundraising app or website - find the retailer you want, and make your purchase. Merry Christmas to everyone – enjoy the festivities.